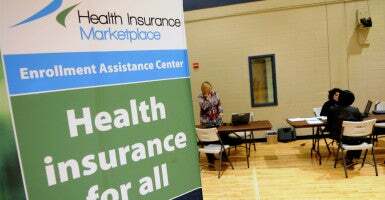 A 12th Obamacare co-op has decided to close its doors after receiving more than $71 million in taxpayer-funded loans and enrolling more than 25,000 consumers in health insurance. 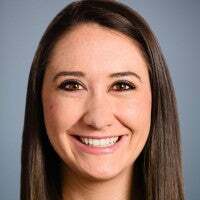 Consumers Mutual Insurance of Michigan and the state Department of Insurance and Financial Services announced their decision to wind down the co-op’s operations last week, bringing the total number of closed co-ops initially created under Obamacare to a dozen. The consumer-operated and oriented plan, or co-op, first posted an announcement on its website notifying consumers it would not be selling health insurance on the federal exchange, HealthCare.gov. The announcement foreshadowed the nonprofit insurance company’s decision to shutter, as the Obama administration told Congress last week that it kept co-ops with questions regarding viability off of the federal exchange. The Michigan co-op received $71.5 million in loans from the federal government and enrolled more than 25,000. Since Obamacare was implemented in 2013, a dozen co-ops, including Consumers Mutual Insurance of Michigan, have closed their doors. Collectively, the failed co-ops received more than $1.2 billion and enrolled more than 700,000 Americans in health insurance, according to the Centers for Medicare and Medicaid Services and regulatory filings. The federal government awarded $2.4 billion total to 23 co-ops created by the health care law. Since their inception, the majority of the nonprofit insurance companies have struggled to turn a profit. A July report from the Department of Health and Human Services inspector general found that 21 of the 23 co-ops lost money in 2014. One co-op, CoOportunity Health, had already closed by the time the report was released. Thirteen of the 23 co-ops, meanwhile, failed to meet enrollment projections for 2014. The co-ops were created to inject competition into the health insurance market, particularly in areas where few options exist for consumers. Though the 23 nonprofit insurers succeeded initially during the first open enrollment period—with many offering the cheapest plans on the federal and state-run exchanges—they struggled to make money after bringing in fewer dollars in premiums than what was needed to pay medical claims. Now, following the collapse of 12 of the co-ops, consumers have fewer options. In Utah, for example, consumers residing in 20 of the state’s 29 counties have just one plan available on the exchange.